Gosh it seems such a long time ago since I photographed a little bundle of newborn loveliness! 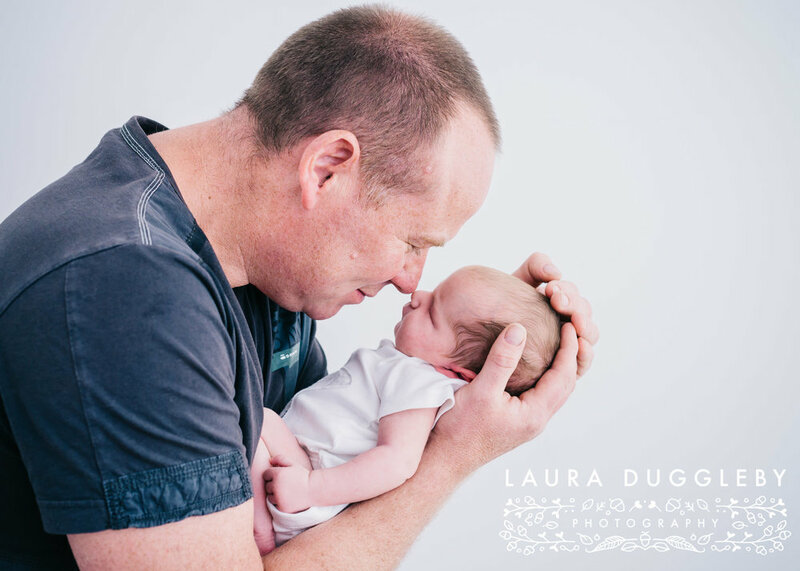 I love doing newborn photography sessions as I get to have cuddles with all my scrumptious little clients and create lasting family memories. Meeting Katie and her lovely mummy and daddy was wonderful. I clicked with Emma and Jimmy instantly and I knew that it would be a great morning in my Helmshore home studio. Katie was quite possibly one of the most chilled out newborn's I have had the pleasure of photographing. She slept for most of her session, but did allow me to get some open eyed shots too whilst wrapped up in a grey coloured jersey wrap and faux fur backdrop. Katie was just ten days old when I met her and she is such a loved and wanted baby. 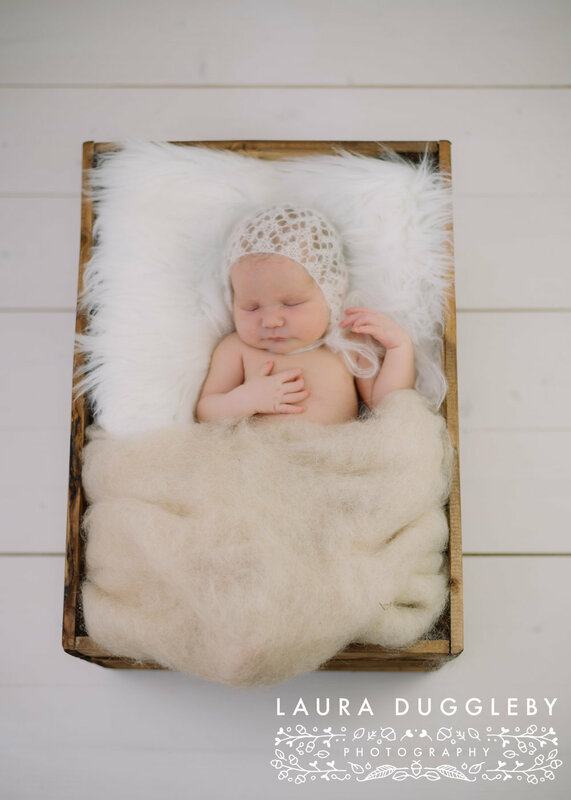 I always aim for around 3/4 set ups during any newborn photography session, to ensure that the overall gallery is different and unique for each family and I also encourage photographs with sentimental items. I photographed Katie with a guardian angel pendant and a very special dog teddy! I chose some beautiful furs and props for Katie's session along with a matching headband or bonnet to complement the colours chosen. Katie really was a dream baby and I'm sure when you see her photographs you will fall in love with her just like I did. 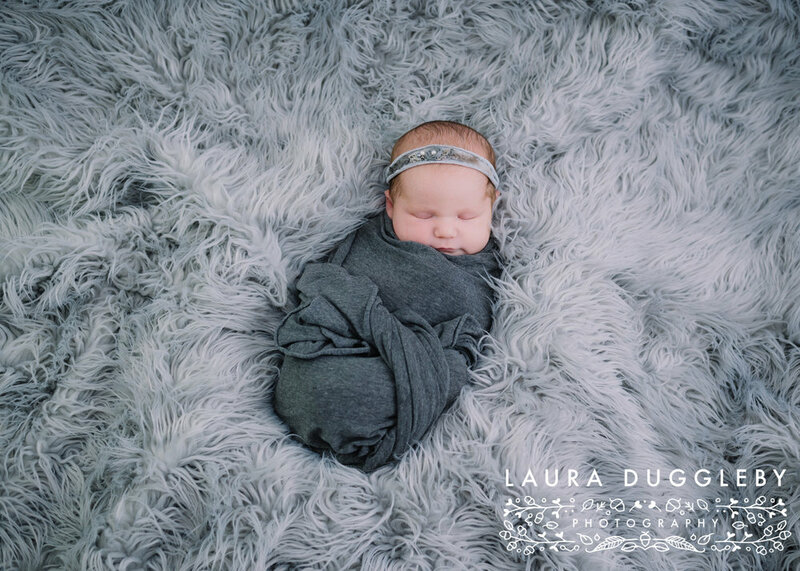 My newborn photography sessions are very, very relaxed, and always baby led. The session ended with some lovely family portraits!! **You can book in for your newborn session, when you have had your 20 week scan, I just pencil your due date in and we work around babies arrival, and a rough two week window. A deposit secures your date, the session lasts up to 3 hours and you receive a beautiful, fully edited online private gallery containing all your treasured photographs. If you would like to enquire about a newborn session, just send me a message through the contact me section on the website.